Oxford University Press, USA, 9780199977802, 372pp. We live today in a culture of full disclosure, where tell-all memoirs top the best-seller lists, transparency is lauded, and privacy seems imperiled. But how did we get here? Exploring scores of previously sealed records, Family Secrets offers a sweeping account of how shame--and the relationship between secrecy and openness--has changed over the last two centuries in Britain. Deborah Cohen uses detailed sketches of individual families as the basis for comparing different sorts of social stigma. She takes readers inside an Edinburgh town house, where a genteel maiden frets with her brother over their niece's downy upper lip, a darkening shadow that might betray the girl's Eurasian heritage; to a Liverpool railway platform, where a heartbroken mother hands over her eight-year old illegitimate son for adoption; to a town in the Cotswolds, where a queer vicar brings to his bank vault a diary--sewed up in calico, wrapped in parchment--that chronicles his sexual longings. Cohen explores what families in the past chose to keep secret and why. She excavates the tangled history of privacy and secrecy to explain why privacy is now viewed as a hallowed right while secrets are condemned as destructive. 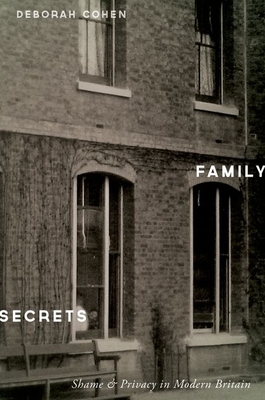 In delving into the dynamics of shame and guilt, Family Secrets explores the part that families, so often regarded as the agents of repression, have played in the transformation of social mores from the Victorian era to the present day. Written with compassion and keen insight, this is a bold new argument about the sea-changes that took place behind closed doors. Deborah Cohen is Ritzma Professor of the Humanities and Professor of History at Northwestern University. She is the author of Household Gods: The British and their Possessions and The War Come Home: Disabled Ex-Servicemen in Britain and Germany, 1914-1939.